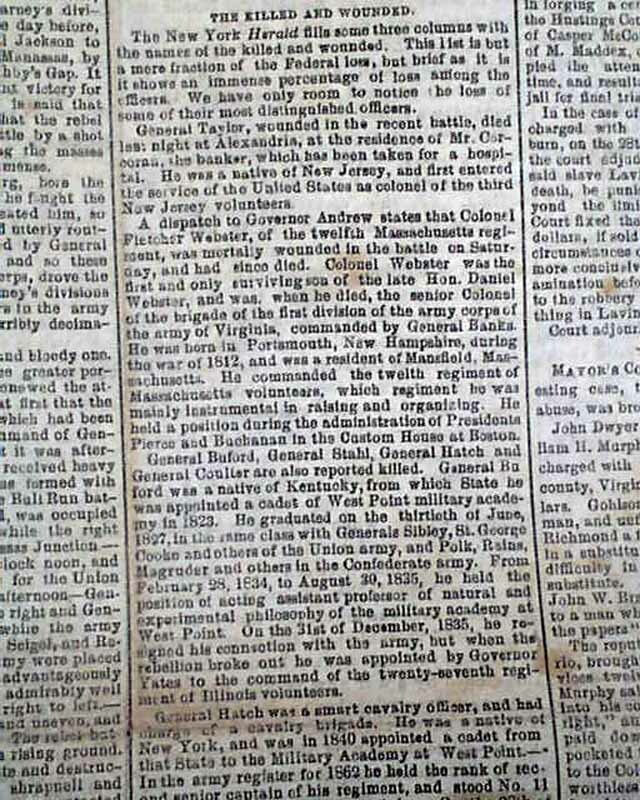 Not just a newspaper from the Confederate states, but from the capital of the Confederacy. 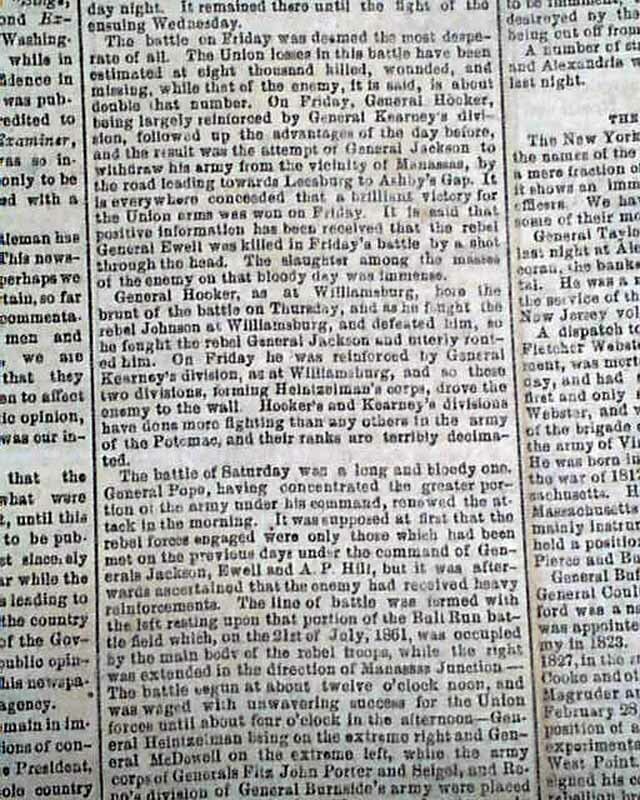 This is a great issue has the front page has much reporting on the historic 2nd battle of Bull Run, another victory for the Confederate army. 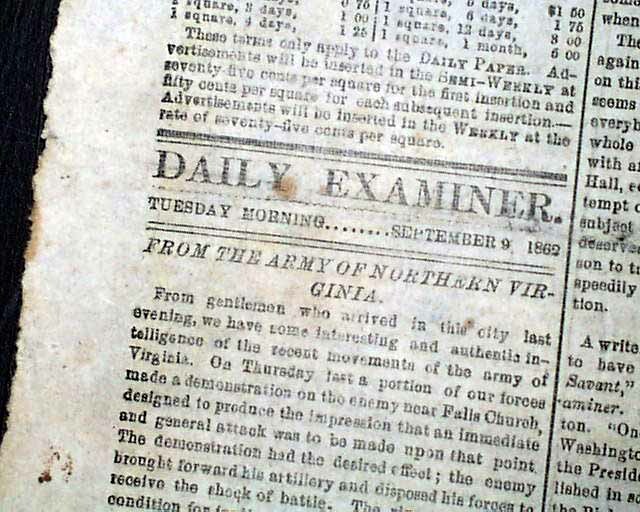 The front page begins with: "From The Army of Northern Virginia" & is followed by: "The Battle Fields Of Manassas". 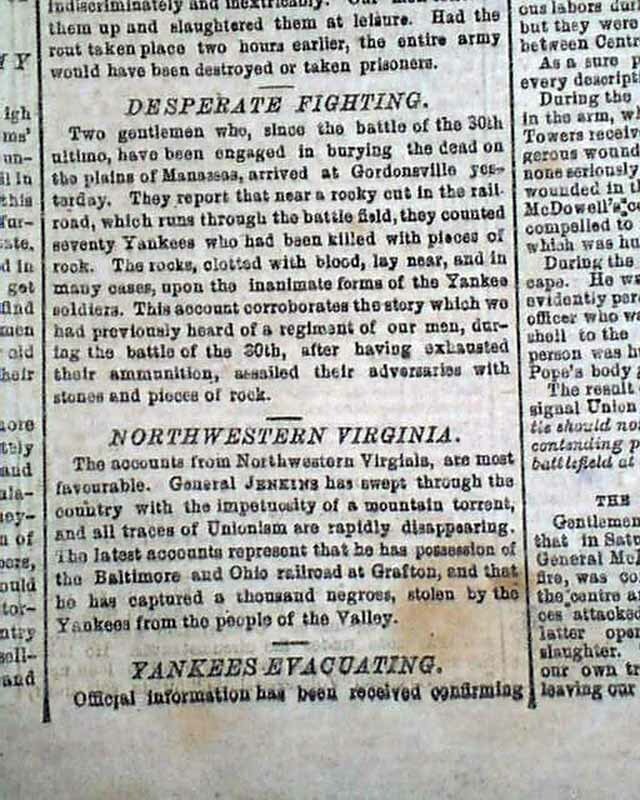 Also on the front page: "Congress People & 'Army Worms' " "A Cavalry Charge" which is on Second Manassas as well; "Desperate Fighting" "Northwestern Virginia" "Vankees "Evacuating". 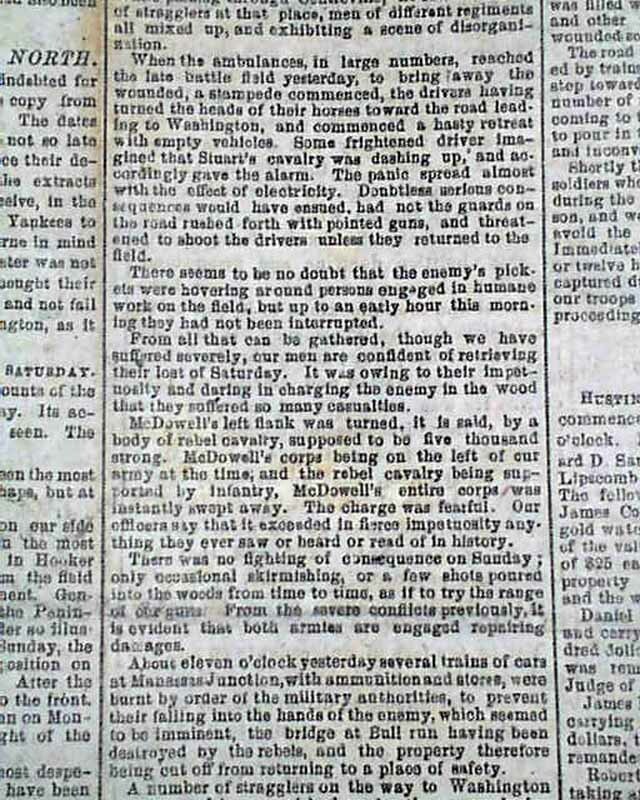 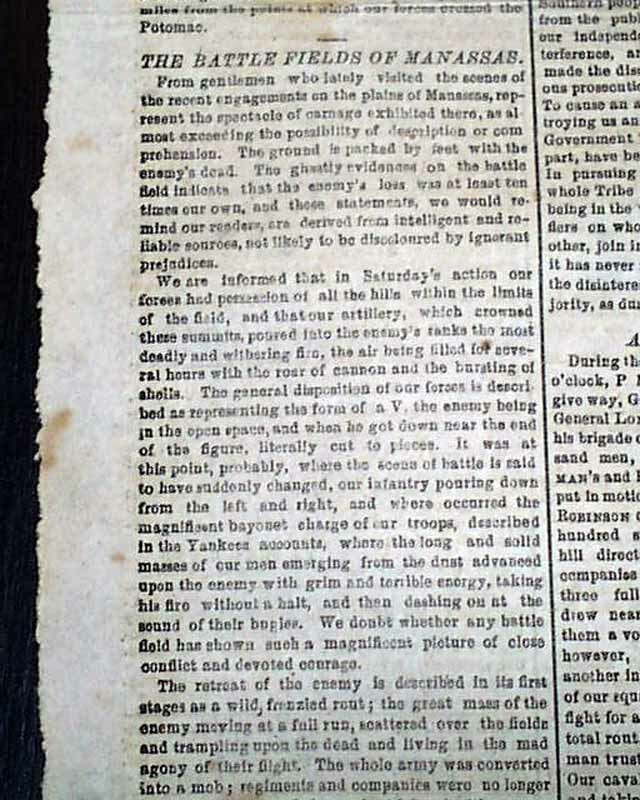 Over two columns on the front page are headed: "Latest News From The North" being a northern report on the Second Battle of Manassas, but with a prefacing paragraph by the Confederates which includes: "...their defeat is not so plainly admitted as in the extracts we gave yesterday. 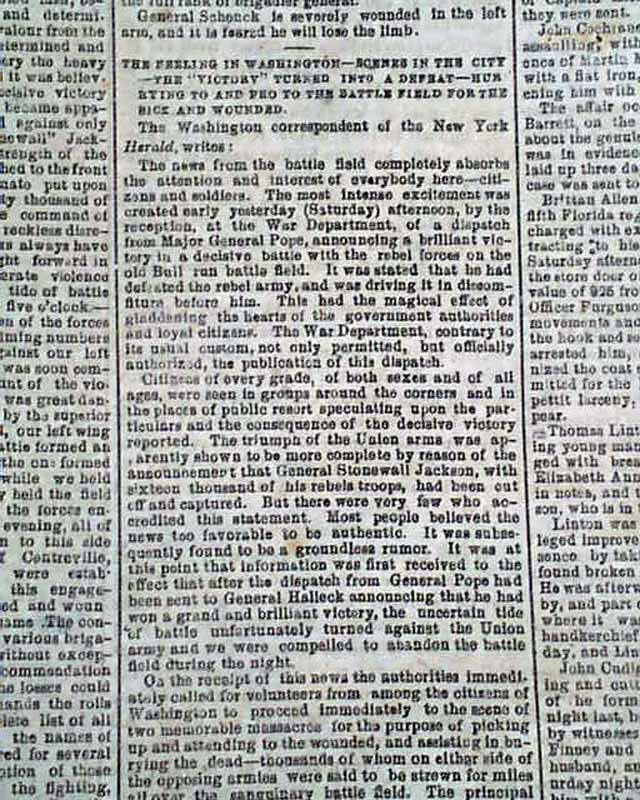 The reader will perceive...the usual effort of the Yankees to conceal their defeat, but it must be borne in mind that this was when the extend of their disaster was not known at the North..." (see). 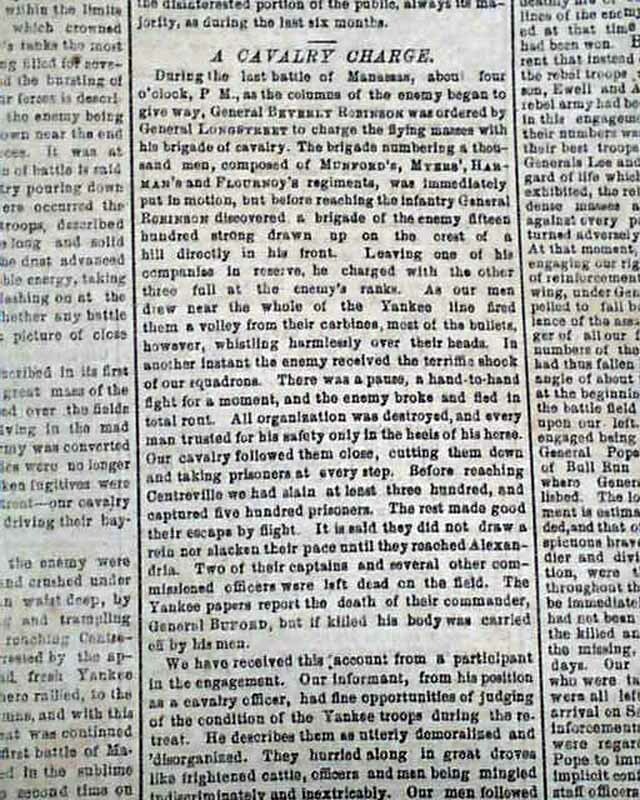 Other smaller items as well. 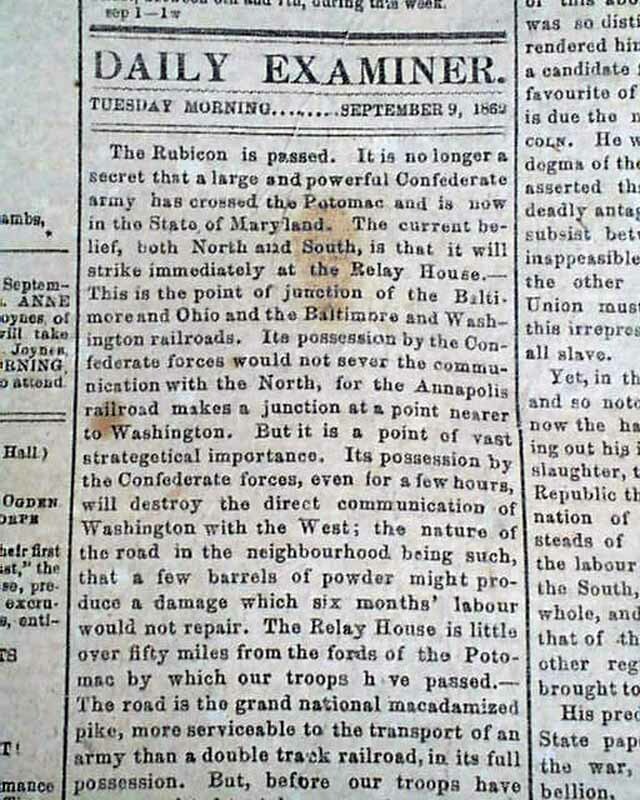 The back page has the always interesting editorial, this one beginning with a very optimistic note: "The Rubicon is passed. 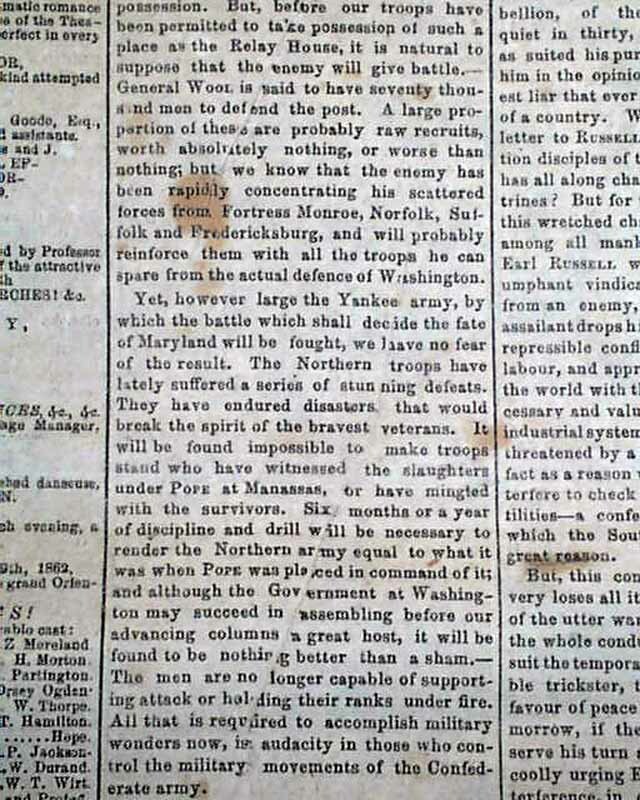 It is no longer a secret that a large & powerful Confederate army has crossed the Potomac & is now in the state of Maryland..." with much more (see). 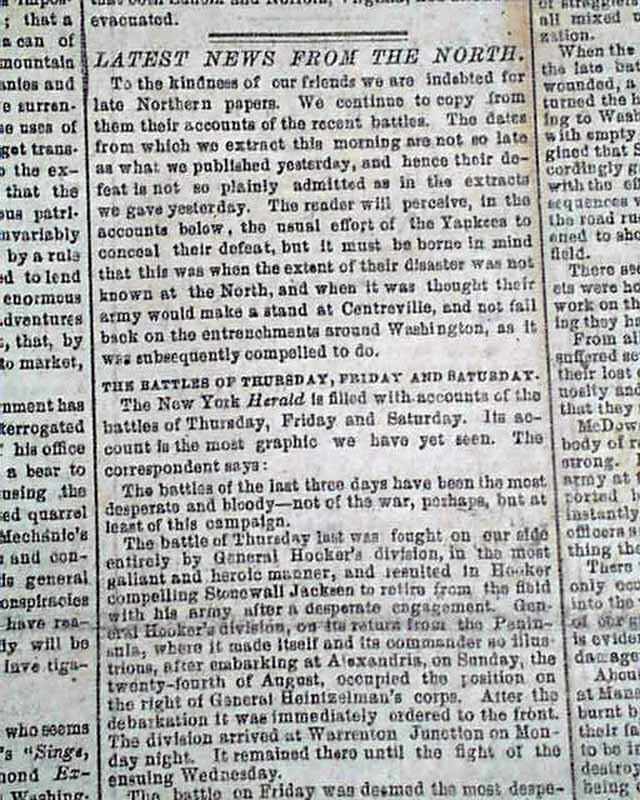 Keep in mind that the Battle of Antietam was just 8 days in the future. 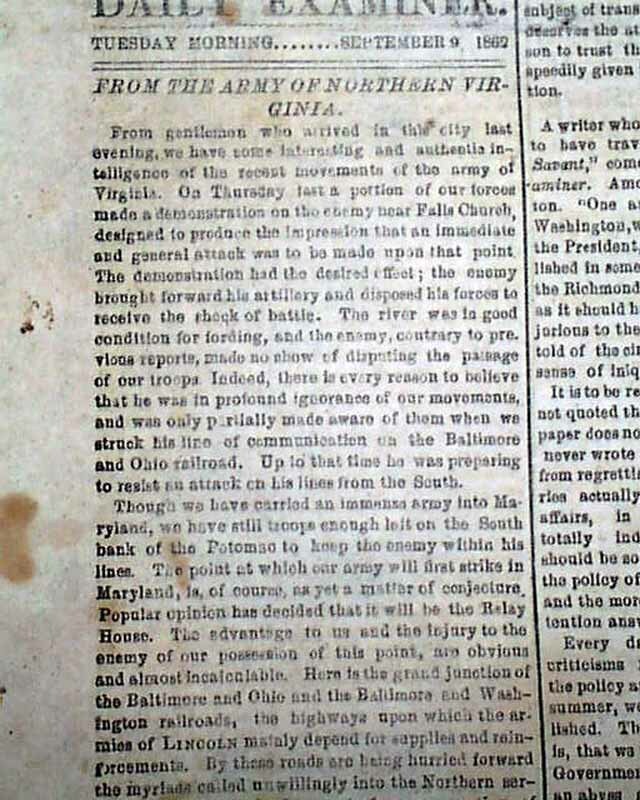 The back page also has much from "The Confederate Congress". 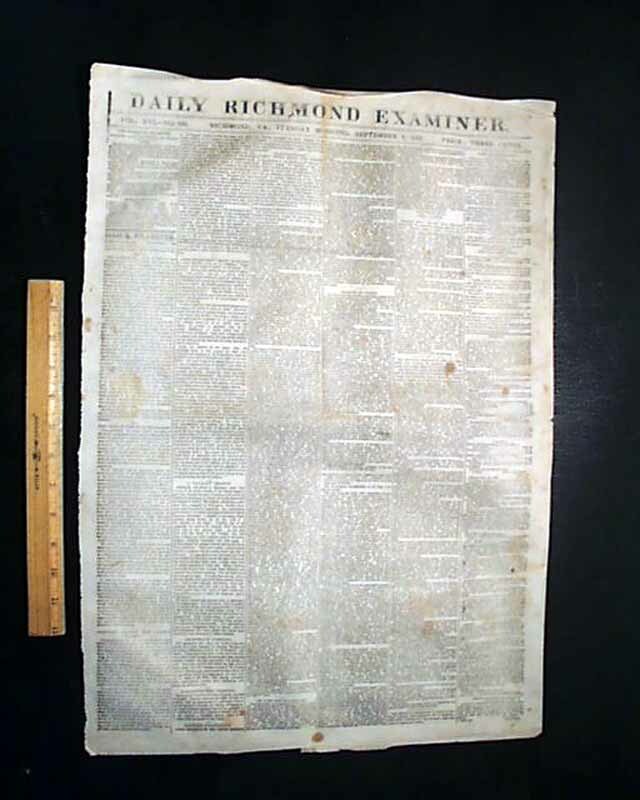 Complete as a single sheet newspaper with a full banner masthead, in very nice condition.